Beautiful and meaningful, this sparkling angel wing silver crystal brooch is a piece to treasure. Pin on for 1940s sparkling style. Not only do they protect and guide you, our Guardian Angel Brooch seems to be proof that they're intent on making you sparkle too! 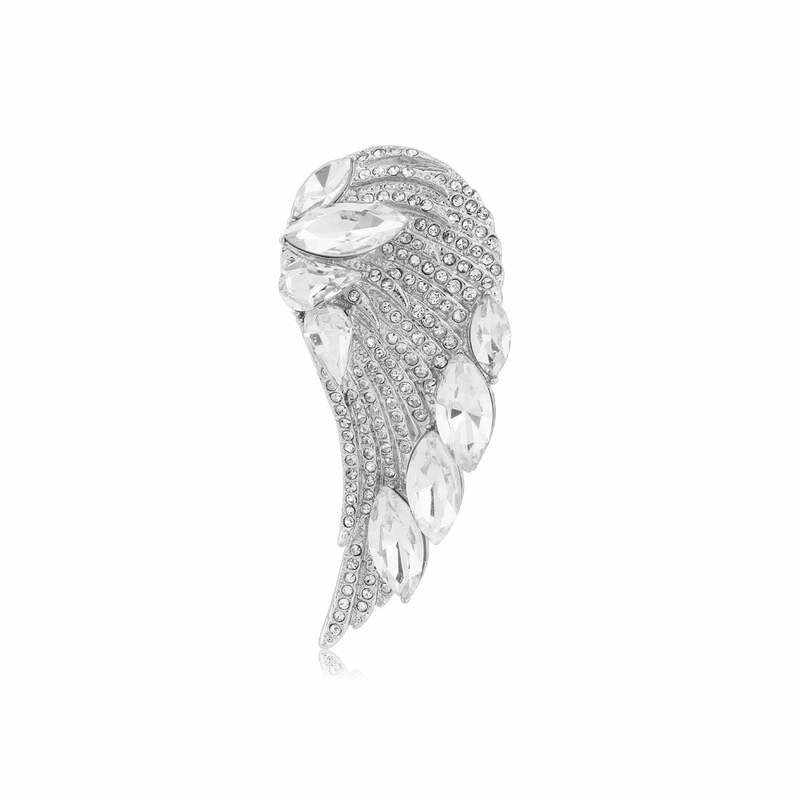 If you love the special meaning of angel wing jewellery, this beautiful piece is sure to capture your heart. Featuring petite and bold Austrian crystals for dazzling sparkle, pin onto a vintage style wedding gown or evening dress for a touch of 1940s Starlet style. For less formal occasions still demanding a hint of glamour, this statement brooch looks fabulous adorning a wrap or adding a feminine touch to the lapel of a chic blazer. Our Guardian Angel Brooch would be the perfect gift for someone special. Whether a friend has been your rock or needs reminding their angel is always with them, this would be a present they would treasure forever.